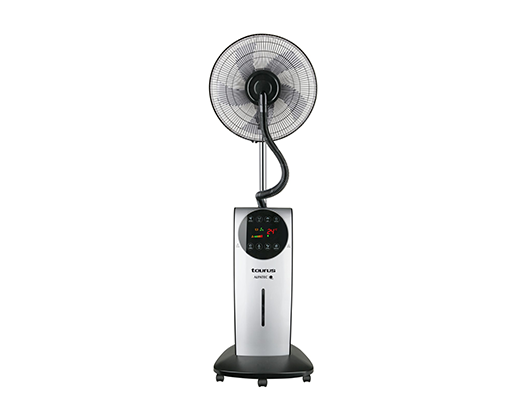 Taurus presents the Ventilateur Brumisateur Cooling Mist Fan. The Cooling Mist Fan has a sensor touch control panel with large FND display and room temperature display. It has a massive 3.1 litre capacity that allows for 17 hours of uninterrupted mist. It comes standard with an ice pad for cooling, water outlet to remove the remaining water easily. The Cooling Mist fan also comes with an Aroma case and a built in ionizer for cleaner air and has a mosquito repelling function.